Feedback: A link to User Voice, an on-line tool for submitting product enhancement requests. Once option is activated, a user trying to log from an IP address not in the authorized list will be denied access to ALMS. 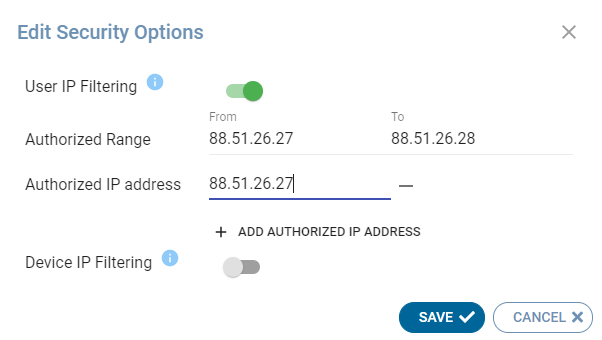 If your devices are communicating through a VPN to ALMS, you should use the range “10.191.0.0” to “10.191.255.255” for NA and “10.193.0.0” to “10.193.255.255” for EU to ensure every device communication comes from within the VPN. If you are not using a VPN to ALMS, you can still use this option. 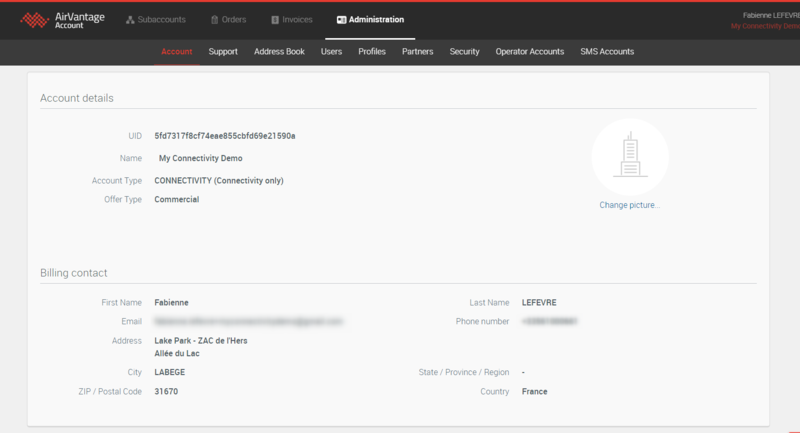 As the IP address allocated to devices depend on your operator, to help you with the configuration of the option, you can find the external IP address detected by ALMS for each system in the timeline of this specific System. 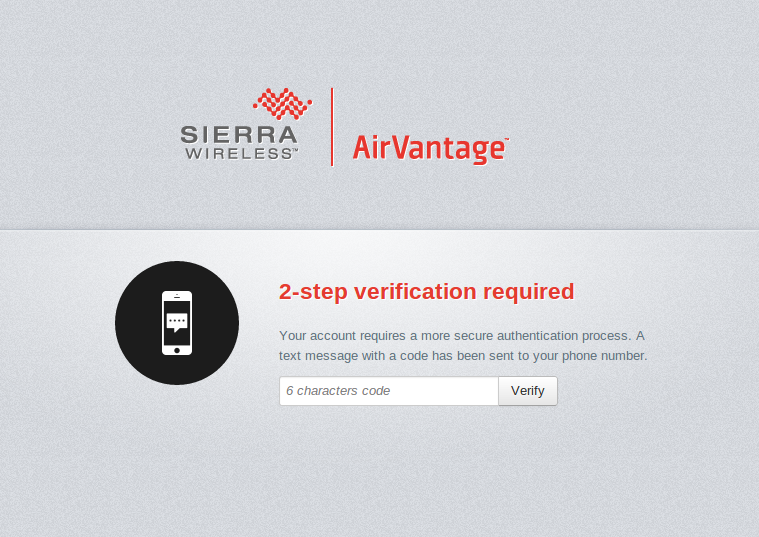 Once option is activated, a device trying to communicate from an IP address not in the authorized list will be denied access to ALMS. 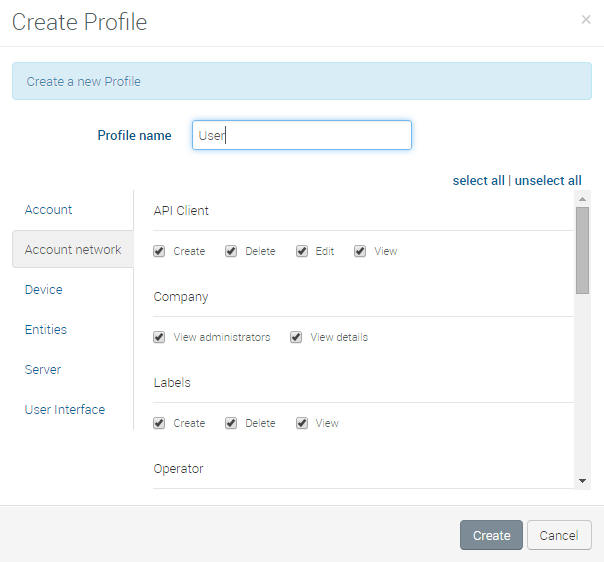 The External Accounts section is where you can configure connectors to operator and SMS accounts. 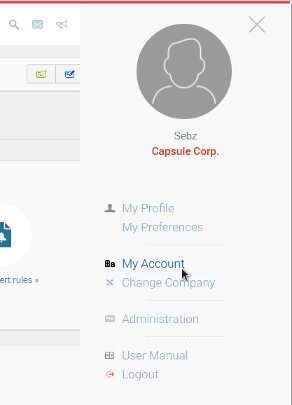 Operator accounts are used for subscription management, it gives access in ALMS to more features on the subscription: synchronize status from the operator network, suspend or resume the subscription, activate or terminate a subscription. An operator account can be associated with SMS accounts that can be used when ALMS send an SMS to a subscription of this account.